The South African bank and mobile network operator have signed a multi-milliion rand cooperation deal. 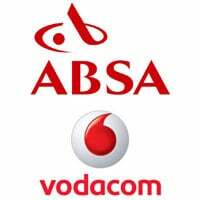 “The project is expected to lead to developments in the near field communication arena and usher in a new era of convenience for the customer,” says Absa. Absa, South Africa’s largest retail bank, has signed a multi-million rand deal with mobile network operator Vodacom which is designed to accelerate the pace of mobile innovation and expand the range of banking and mobile services on offer to consumers — in both South Africa and in other African countries. “These innovations include a ‘tap and go’ payment system, machine-to-machine (telemetry) solutions in the insurance space and consumer education delivered via mobile devices, bundled mobile and financial service offerings and free Unstructured Supplementary Service Data (USSD) banking,” says the partners. “By working together, each company will be leveraging collective resources, expertise, infrastructure and new technologies to consistently deliver valuable services to its customers. The deal helps Absa to fulfil its objective of working strategically with mobile operators to enhance the propositions delivered to its customers, Opperman added, explaining that the collaboration with Vodacom provides Absa with the infrastructure to enable cross-selling and the bundling of products to both organisations’ customers. “The respective technical capabilities will create value-added benefits aimed at our customers through the provision of innovative products and services,” he said, allowing the two organisations to better assist their customers by sticking to their fundamental principles of convenience, choice, access and safety through the strengthening and diversification of their product offerings.